Self-catering beach accommodation in Europe doesn't come much better than beach houses in France. Miles of long sandy beaches as far as the eye can sea, perfectly formed gently rolling waves and a range of seaside holiday rentals to suit all requirements. 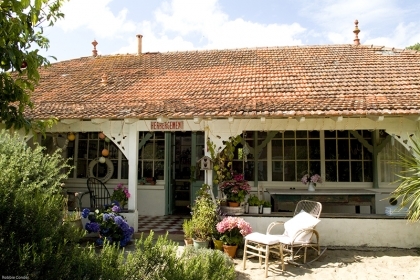 Beach houses provide the ideal base for a family or large group holiday on or near the beachfront, some of the cheap beach houses in France are even suitable for couples on short or weekend breaks. Large beach houses to rent provide a range of options including Wi-Fi Internet access and ample bedrooms and bathrooms able to sleep 8, 10, 12 or more. If you're not on a budget then luxury beach houses with sea views could be an option but you will need to book now as these highly sought after holiday lets tend to book up well in advance. Travelling with the family dog, then review the pet friendly beach houses in Aquitaine, Brittany or the Cote d'Azur in France so that no member of the family needs to stay behind. 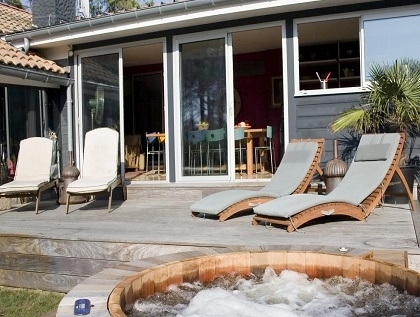 No matter if your plans include surfing, coastal walking, water sports or just relaxing in your self-catering rental, you're sure to find the perfect beach house to rent in France listed below.